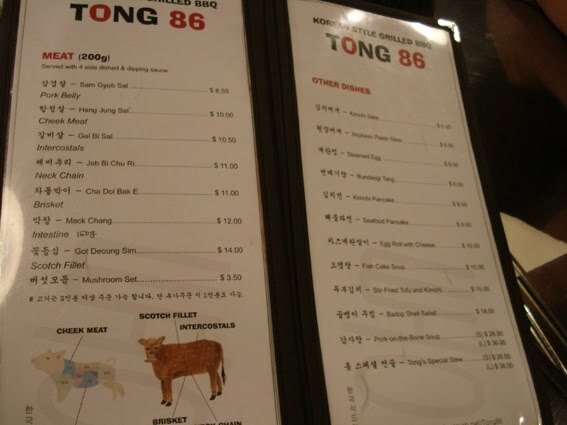 Tong 86 opened last year and I've been hearing some good reviews from my Korean friends. 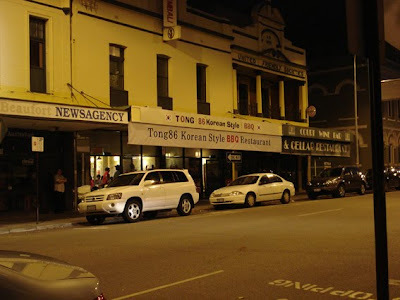 To me, Tong 86 is probably the most Korean place that I've ever been to in Perth. When you go in, you just feel the Korean vibes. hahaha. Koreans sitting around, 2 huge screens showing Korean music videos, everything Korean. The interior is pretty cool. The wall was drawn, signed, and scribbled in a very cool way. 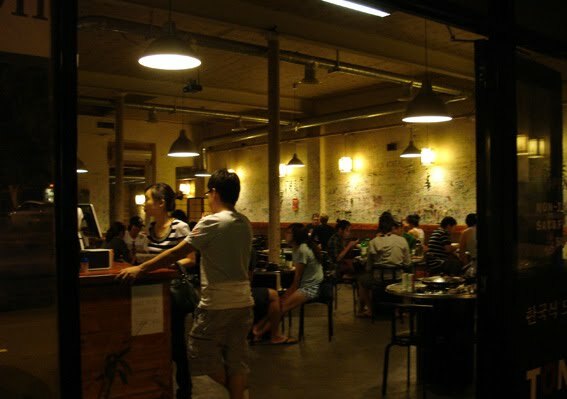 When you get in, you will feel that place is pretty chill out type of restaurant and mostly youngsters go there. 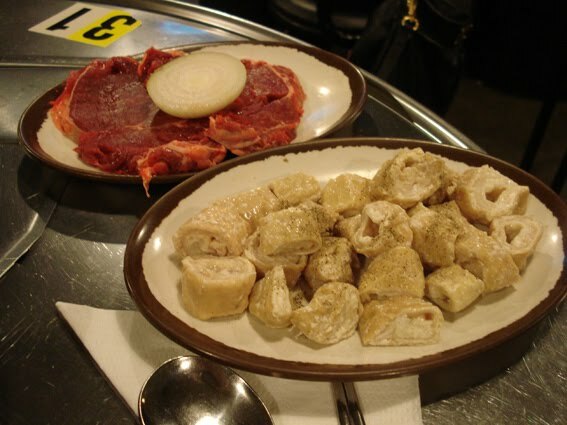 These are the side dishes that comes with the BBQ meat. 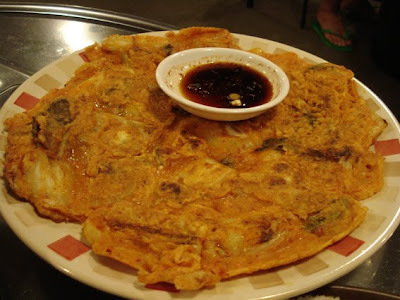 Other than food for BBQ, I've got the Kimchi pancake! Which is my favourite of all. 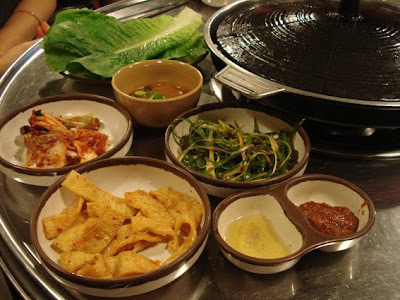 The pancake is perfect in thickness, just nice batter and generous kimchi! Flavour is awesome too! After you bite it, you just got this Bang Bang Bang of Kimchi crunch in your mouth with the saltiness of the dipping sauce! This dish is nicely balance in terms of flavour. 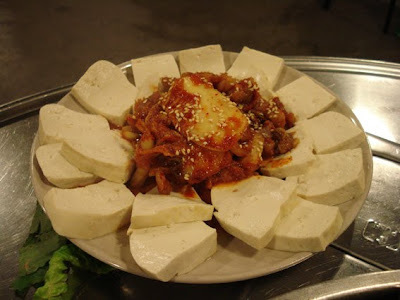 There's saltiness and sweetness in the Kimchi and go so well with Tofu. This dish reminds me of my holiday in Korea a year ago. 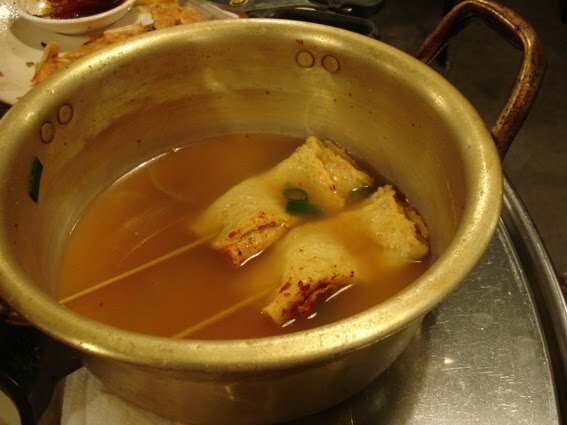 They sell this everywhere with Dokbokgi when I was there during winter. It's so nice to have this in the cold wintery weather! I miss them so much! Can't believe I can have this again in Perth and it's so so tasty. 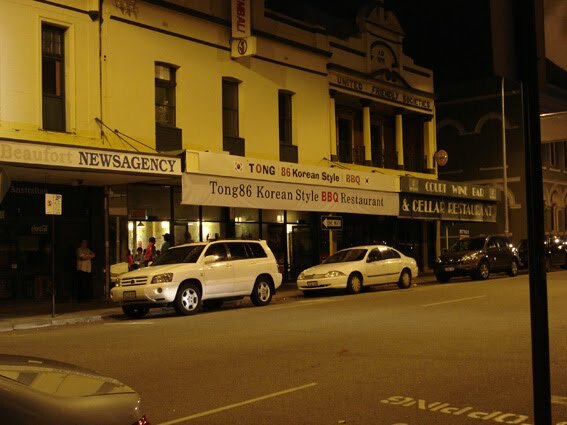 Tong 86 was really busy when I got there. Waitresses was running around serving and carrying plates to the kitchen. The waitress that served us wasn't really friendly to us. I guess she was too tired? But the other waitress that served us after that was really nice and friendly. Overall, I enjoyed the food there and it's really spacious. A very nice casual friends hang out place with good food.